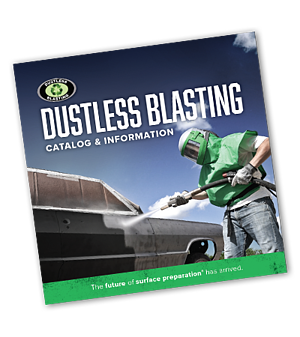 Learning to use your Dustless Blasting® equipment only takes about 5 minutes. This is why we are always happy to have people stop by and demo our machines. What’s more, mobile paint stripping and cleaning is one of the simplest business models there is. You clean and de-paint things in exchange for money. It doesn’t get much easier than that. Any business owner will face challenges, and there are plenty of things to learn along the way, but the business as a whole is incredibly easy to succeed in. We're here for you after the sale. We're committed to helping our contractors succeed in their business endeavors, and offer resources, guides, and personalized help after the sale. Remember, you'll work for yourself, not by yourself. Check out our support pages for instruction manuals and videos on how to use your machine. This is the best place to get started if you're new to Dustless Blasting. 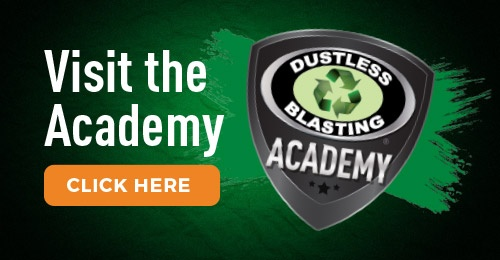 The Academy features helpful articles and videos which will help you become a blasting master. Here, we'll cover more in-depth topics such as: how to select the right abrasive, how to blast in freezing weather, the effect of different nozzle types, and more. Shop online 24/7/365 for parts, repair kits, or consumables. Next-day delivery and in-store pickup are available for most items. Only Dustless Blasting contractors can join our private Facebook group. This group serves as a forum to share advice, ask for help, and learn from experienced and successful business owners. Every month, our Dustless Blasting technical experts put on a Facebook Live video. They share their knowledge about a topic related to blasting, and answer your questions live. See our previous Tech Talks here! You are always welcome to contact us for technical support by submitting a ticket, and we'll get back to you shortly!